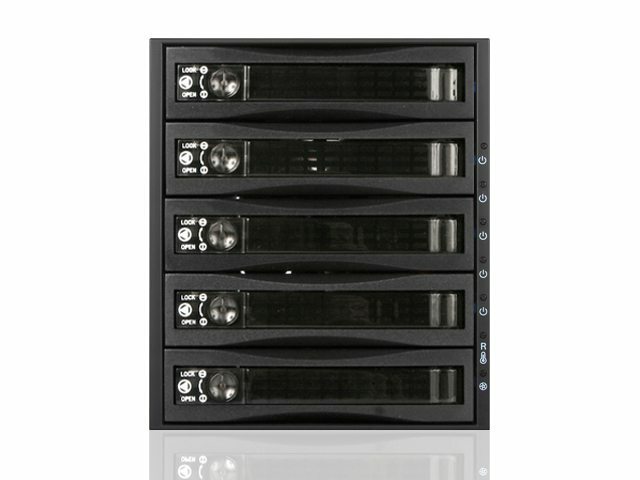 Hard drive hot-swap cages make things easier when building storage devices and servers. You get accessibility, organization, and a compact enclosure in one box. 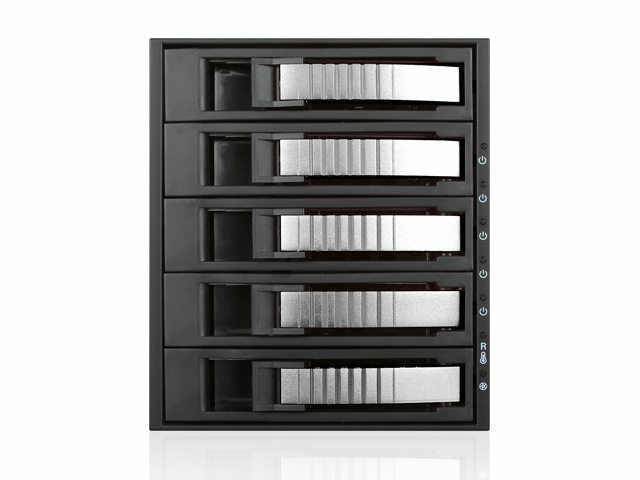 In the case of the BPU-350SATA, iStarUSA provides you with a hot-swap cage that occupies just three 5.25 inch drive bays but still allows you to install a total of five 3.5 inch SATA or SAS hard drives. 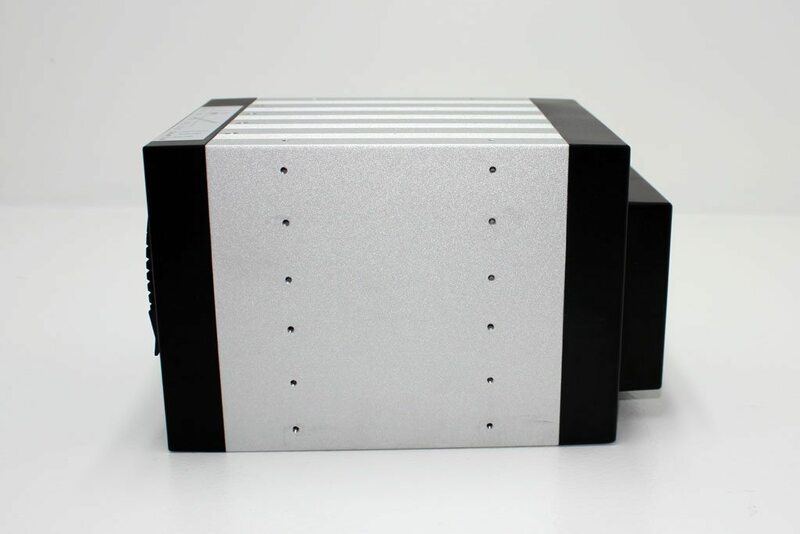 The BPU-350SATA measures in at 146.0 mm x 126.0 mm x 209.5 mm and is available in Black, Blue, Red, Silver, and plain old lockable. 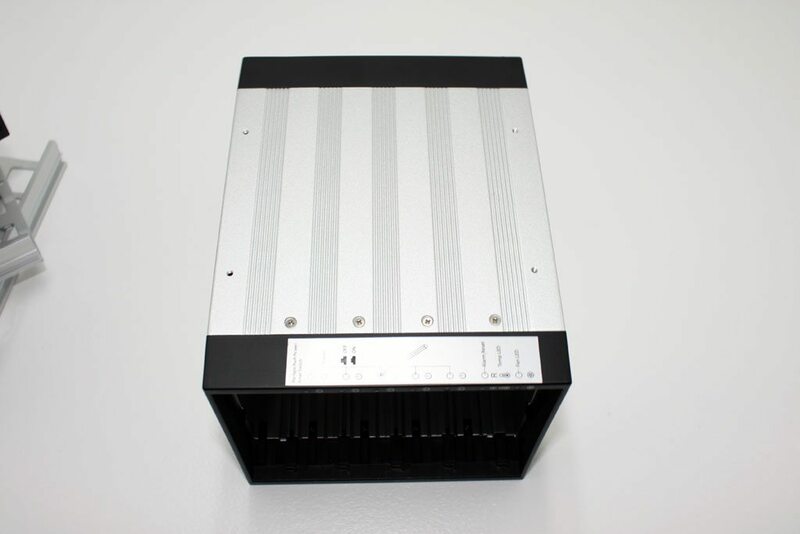 This hot-swap drive cage supports RAID 1/0/1+0/5 configurations. Although it wasn’t stated as supported, we were able to configure a RAID 6 array. Additionally, the BPU-350SATA can assist with keeping all your hard drives cool as they spin away. The unit ships with an 80mm cooling fan in the back and is mostly constructed of lightweight aluminum with conductive dissipation grooves. Air is drawn through the unit and over the hard drives from front to back exhausting the warmed air through your chassis. The front bezel is plastic and can be removed with a total of eight screws. Four on top, four on bottom. 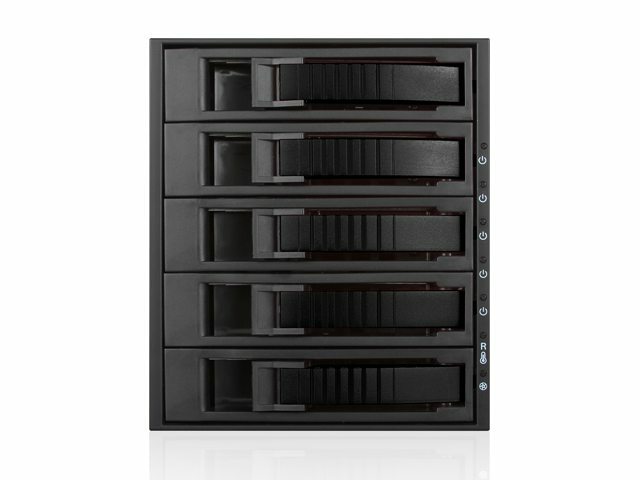 The unit sports 5 removable drive trays; each with their own power and activity LEDs. Each of these LEDs doubles as a power button! If you press the button, you can cut or provide power to the HDD. You also have an Overheat LED that also acts as a reset switch. This LED will trigger a buzzer alarm if the temps are too high. Lastly, there is a Fan Sensor LED that acts similarly to that of the Overheat LED. If the fan stops, the reset button can be used to silence the buzzer alarm. 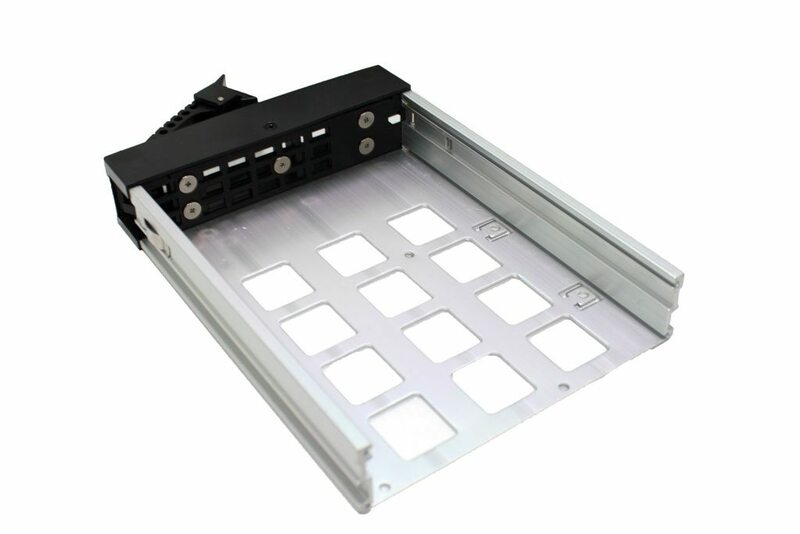 Each of the five hard drive trays are constructed of a plastic and aluminum. The thick aluminum trays slide in with some resistance but with metal on metal contact, that is to be expected. The lack of wiggle room here doubles as an anti-vibration mechanism. 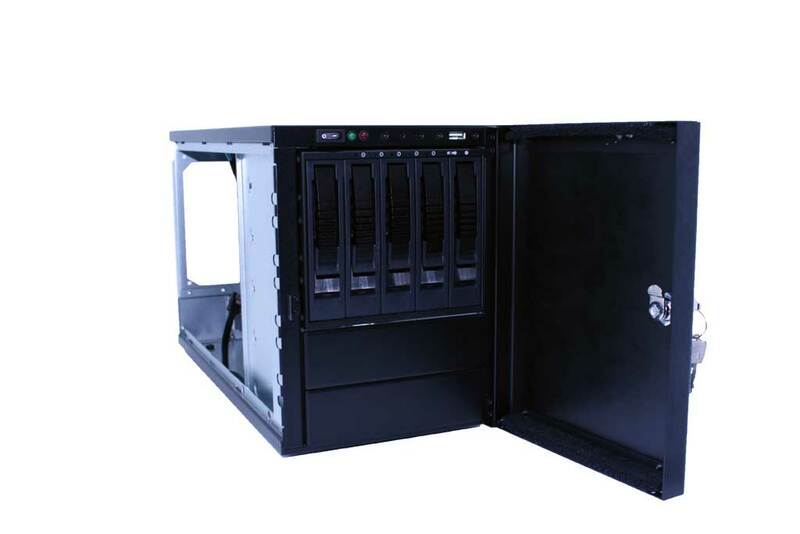 Hard drives are installed using the bottom screw holes for either 2.5″ or 3.5″ HDDs. The front of the tray features a quick release locking mechanism that is impressively simple. The handle itself is metal and a strong spring is used for tension. The design allows for quick installation and quick release with minimal effort. 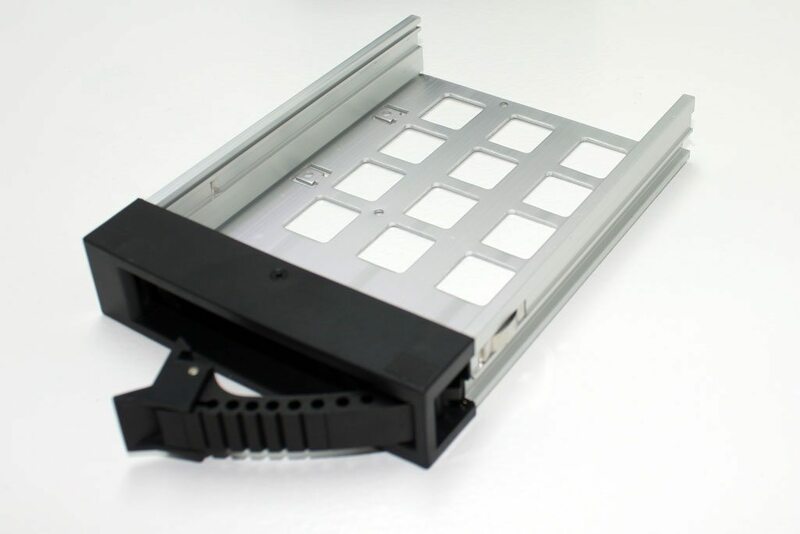 The drive trays also assist with heat dissipation. On the top and bottom, there are small groves to increase surface area. Also note that there are four mounting points on each side for special installations and those incredibly complicated screw patterns that somehow present themselves during a build. 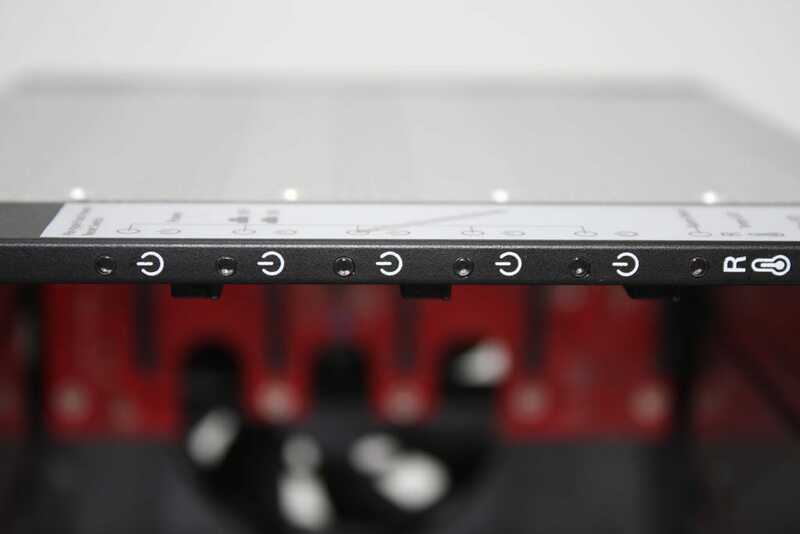 The sides of the BPU-350SATA are completely flat and void of grooves. Unfortunately, because these sides are completely flat, installation can sometimes become complicated. There are 12 screw holes on each side for all kinds of installation scenarios, but there are no deep channels for cases with 5.25″ guides. This design is normal in the server and industrial markets, but if you find yourself looking at one of these for a home build, make sure your case doesn’t have these supports. Otherwise, you will have to cut them out. Around back there are the 5 HDD SATA/SAS connections, the 80mm cooling fan, 2 SATA Power connections, 2 4-pin power connections, some function jumpers, a couple of switches, and a buzzer. 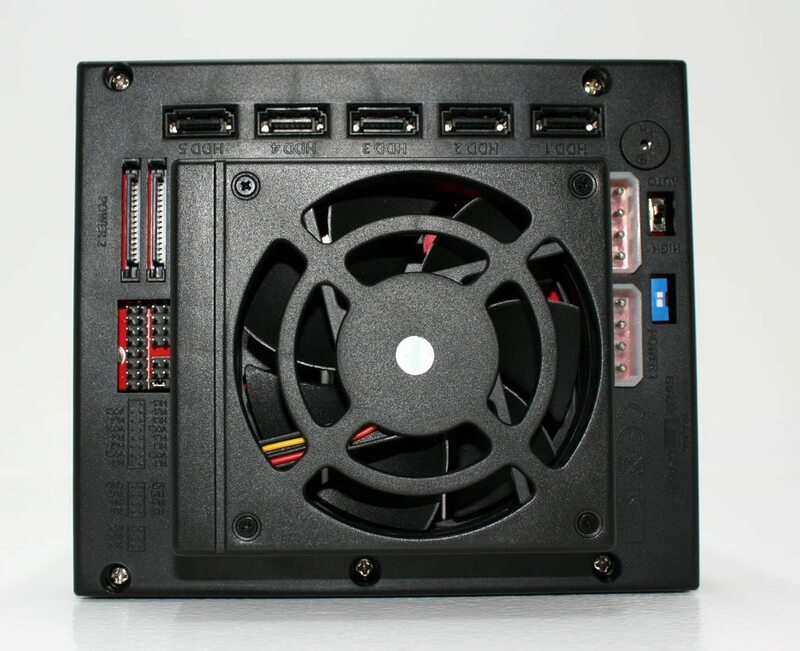 The 80mm cooling fan can be easily removed for replacement. All too often, these pre-installed fans start whining or whirring and replacing them requires complete removal. This usually means that we end up living with the noise… Thankfully, iStarUSA has made replacement easy. The two switches in the back are to control fan speed and HDD LEDs. The first set of jumpers allows you to control the temperature at which the buzzer will sound. Selections can be made for 55, 60, and 65 degrees Celsius. The next set of jumpers are used for systems that can collect information about the fans and temperatures, while the last set is for power detection settings. There are also five screws for removing the rear bezel. The overall fit and finish of the BPU-350SATA is very nice. 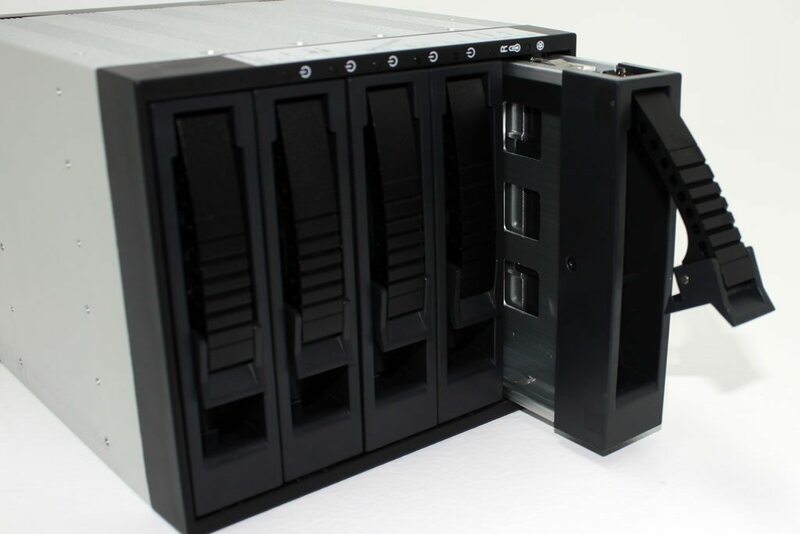 The hard drive trays are spectacular and the unit itself is very sturdy. The buzzer alarms and LEDs are heaven-sent as is the easily removable 80mm cooling fan. iStarUSA has gone the extra mile here and it definitely shows. This hot-swap cage, with industrial roots, can easily make itself at home in any environment. The incredibly slick looks and build quality makes the BPU-350SATA hard to ignore. 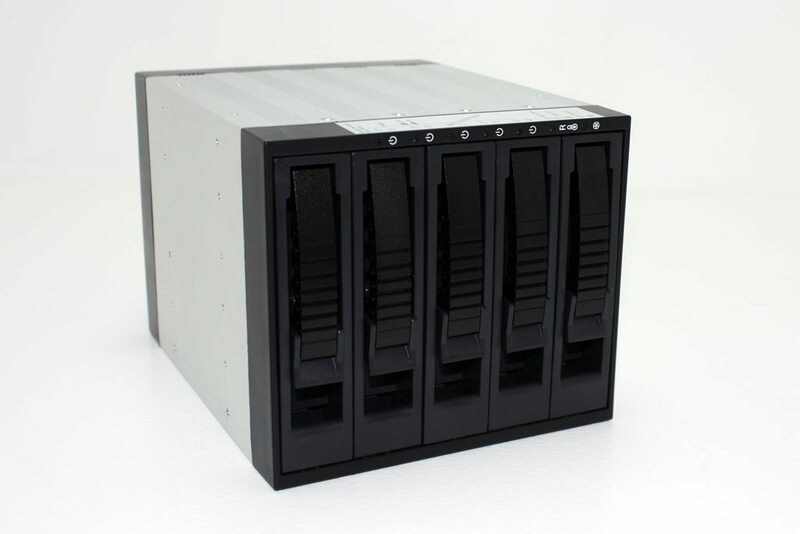 With a price tag of right around $119.99 USD this isn’t the cheapest HDD hot-swap cage on the market, but I will bet you dollars to donuts it is one of the better in its price range.